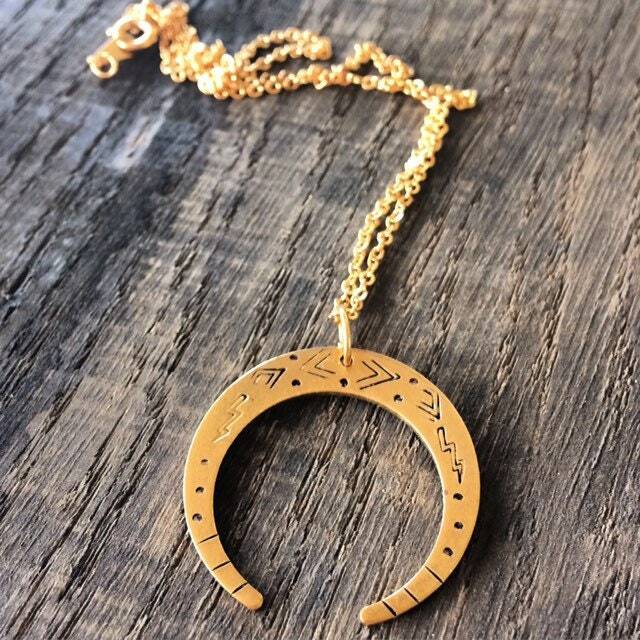 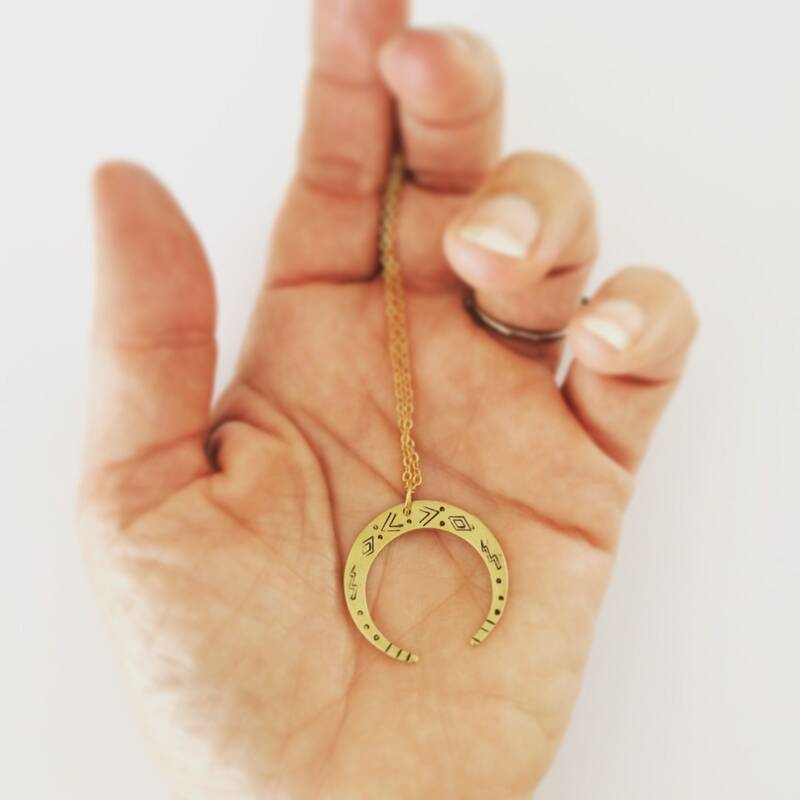 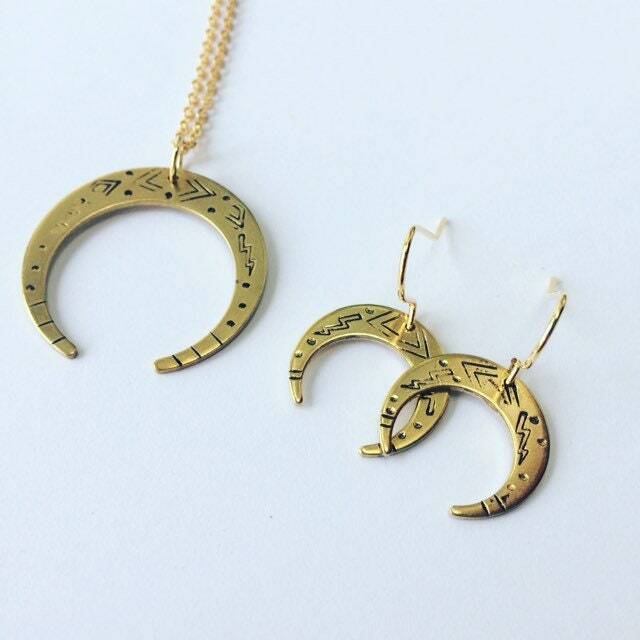 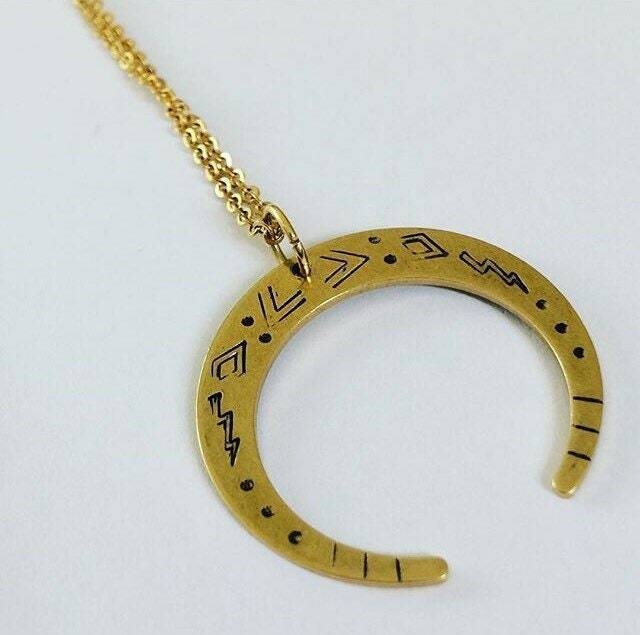 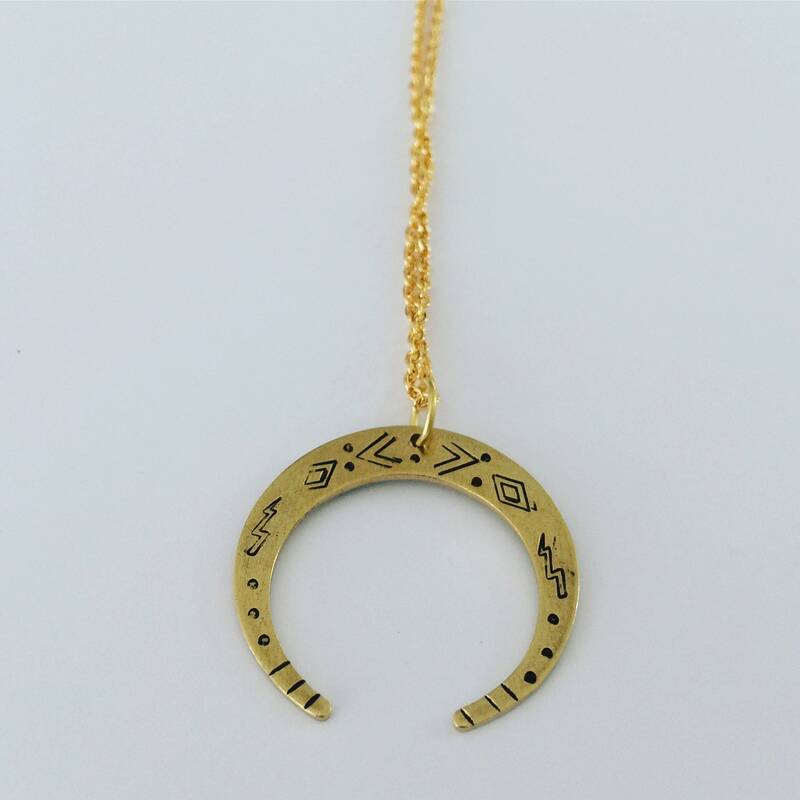 Gold crescent moon pendant with mystical shapes and symbols - made from raw brass. 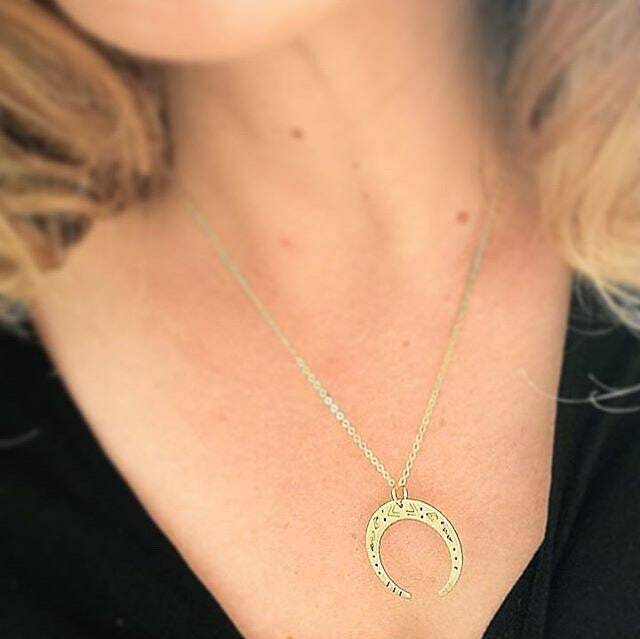 This is called the Venus Moon Necklace because the only way to see a crescent with downward facing tips is by viewing it from Venus! 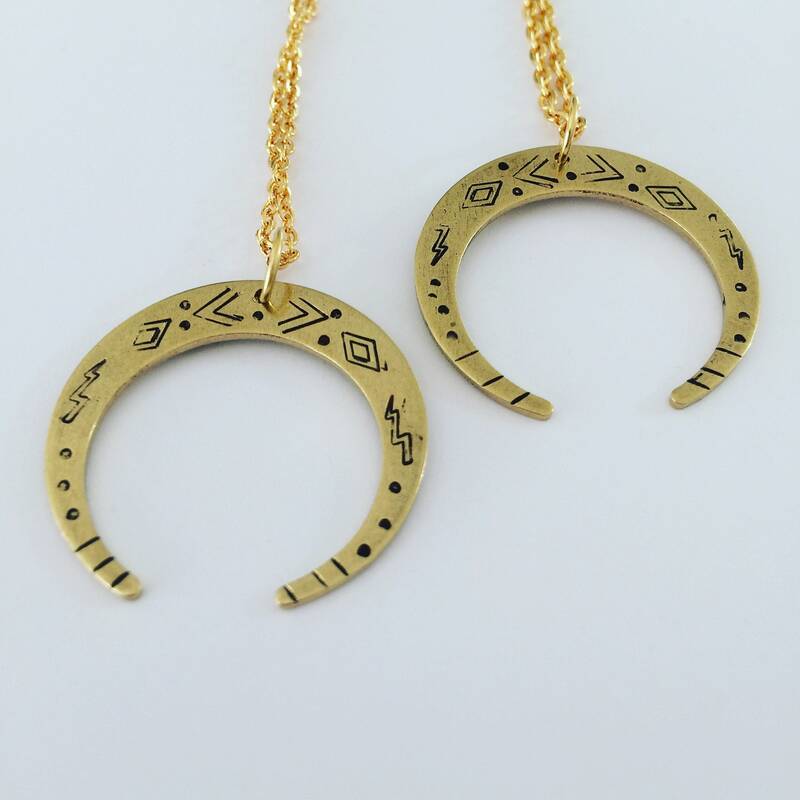 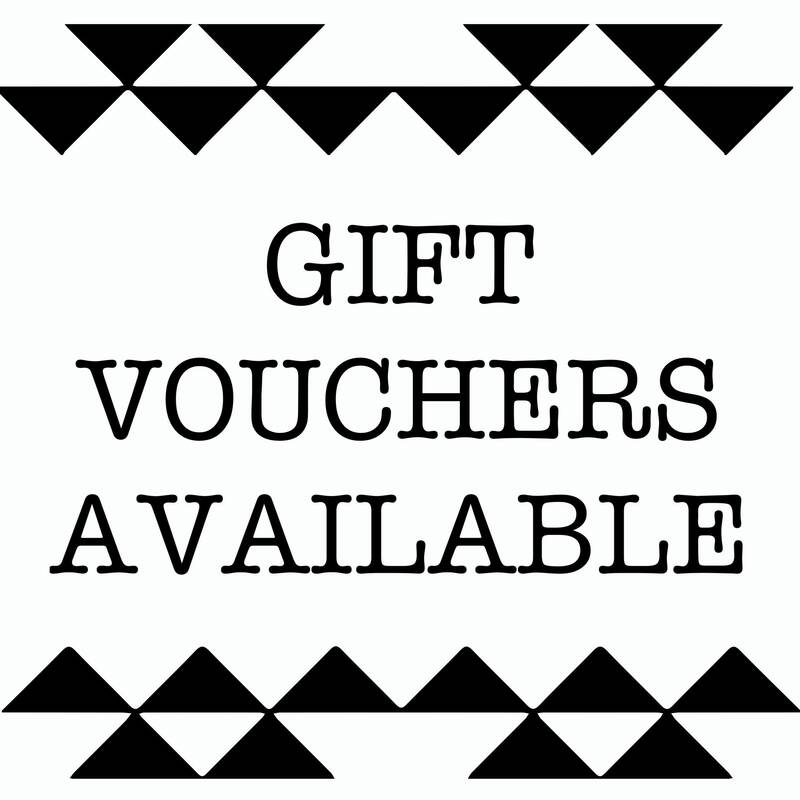 Each is individually made so may differ slightly from those in the photos. 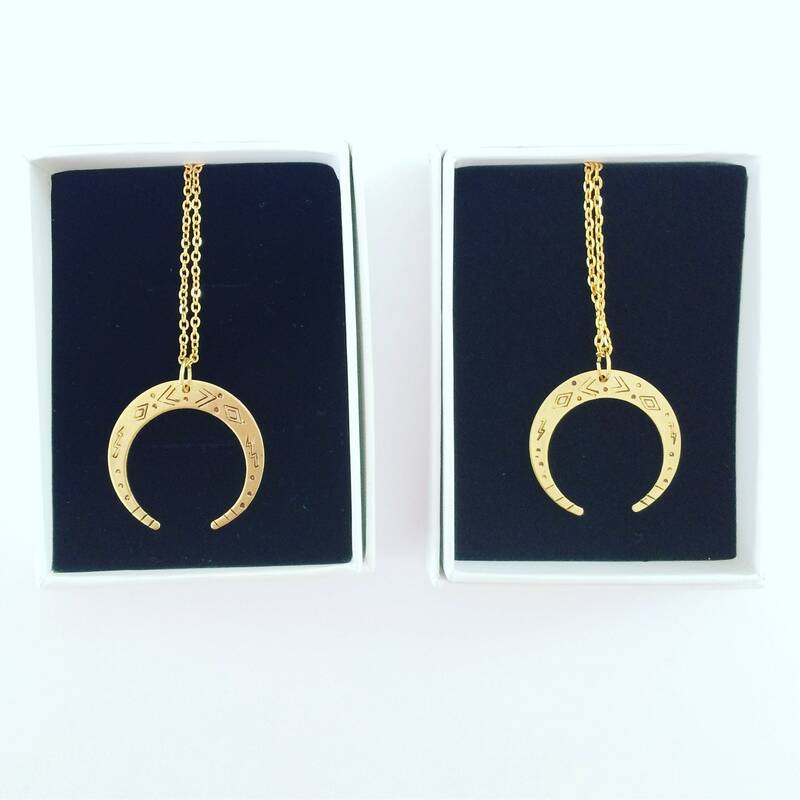 Comes boxed and beautifully wrapped in coloured tissue paper.